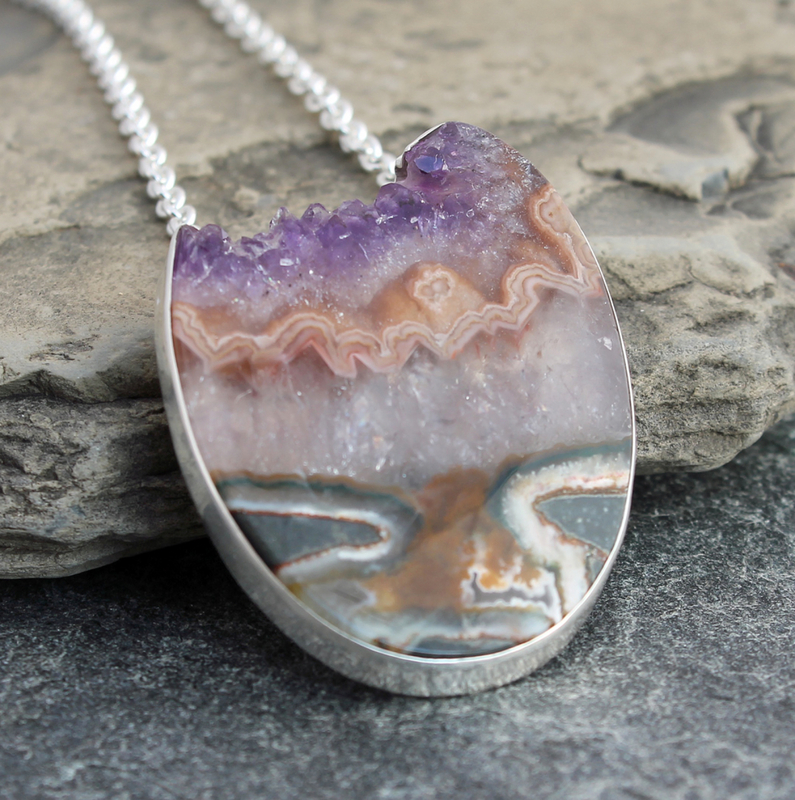 This stunning, one of a kind statement necklace features an amazing amethyst druzy and agate egg shaped centrepiece (39mm x 51.5mm x 6.5mm) set in sterling silver, hanging from a sterling silver chain. The chain is just over 18" long as shown on the model, however I can adjust the length before it ships - anywhere from 16" to 26" long. Please just add a note when you check out about the length you would like. Because I am working with Mother Nature and natural stones, exact sizes, shapes and colours vary. Amethyst’s powers include dreams, peace, love, spiritual upliftment, courage, psychism, protection against thieves, and happiness. Healers have been using amethyst to increase their psychic abilities and intuition for centuries. Cross-culturally, amethyst has been used as a symbol of peace and unification. 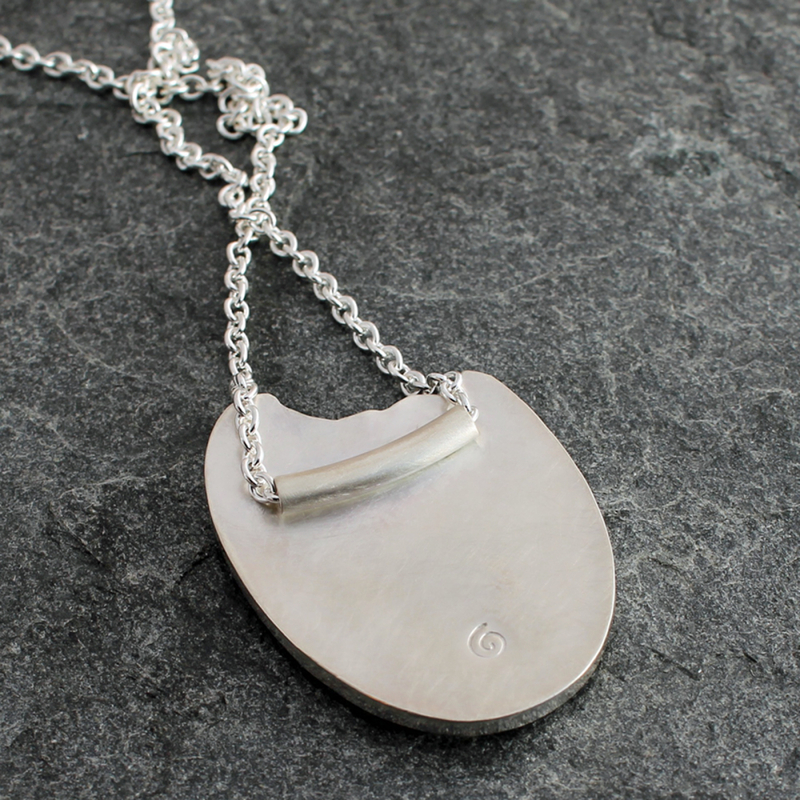 It is also thought to evoke feelings of serenity and calmness in those who wear it. 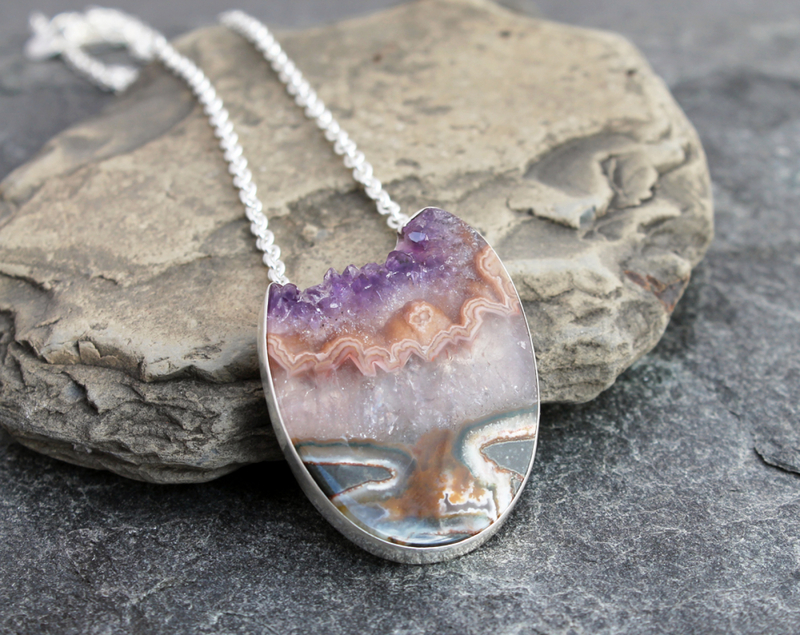 Amethyst is often used during meditation to provide an overall sense of spiritual balance. In the esoteric tradition of the Seven Rays, amethyst is the gemstone of the 7th Ray (ceremony) and aligns with the sacral center or Svadhisthana chakra. It is a lovely stone for a 6th anniversary and also a birthstone for Aquarius, Aries, Sagittarius and Pisces. Sufi saints and Hindu sadhus use agate for rosaries and necklaces because it brings calmness that leads to good luck. 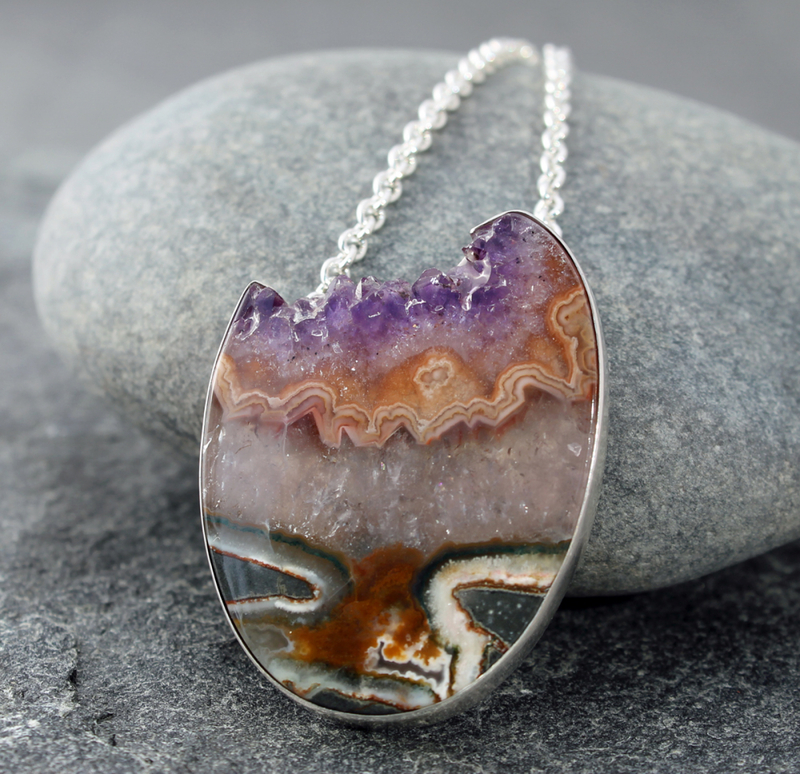 In the esoteric tradition of the 7 Rays, agate is a semiprecious stone of the 4th Ray (beauty and harmony) and aligns with the base or Muladhara chakra (as does jasper, chalcedony and serpentine). Agate is a birthstone for Gemini and fire agate is a birthstone for Aries, Cancer and Leo.